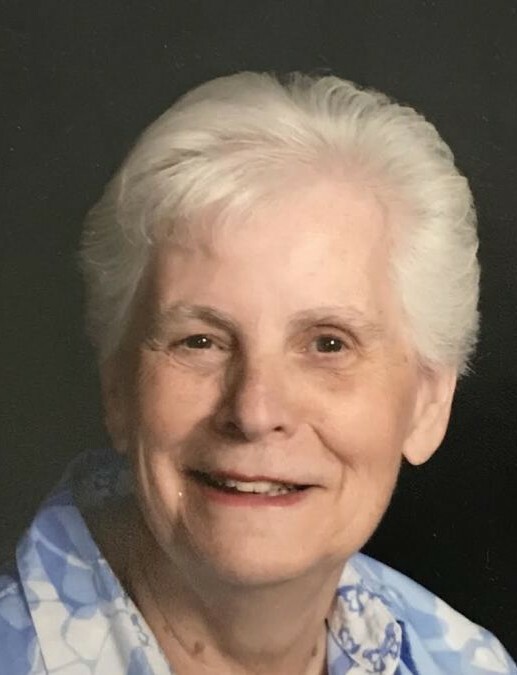 Shirley M. (Hafner) White, 83, passed away on Sunday, Aug. 5, 2018 at Baystate Medical Center surrounded by her family. For 55 years, Shirley lived in Ludlow with her husband, Franklin. Shirley was a devoted parishioner at St. Mark’s Episcopal Church in East Longmeadow, where she headed the fundraising efforts at the Big E and cared for the memorial garden. Shirley was the president of the Open Pantry in Ludlow for three years, which allowed her to take an active role within the Holiday Meals program at the Civic Center. While focused on family, faith and community, Shirley also worked for many years in the insurance industry. She is survived by her loving husband of 62 years; brothers, James Hafner of Ludlow and Robert Hafner of Belchertown; sister, Barbara Jean (Hafner) Duran of Fort Pierce, Florida; three children, Darlene Reidy of Westfield, Lynda Dec of Tucson, Arizona and Jeffrey White of Phoenix, Arizona; eight grandchildren; and seven great-grandchildren. Shirley was a generous, loving, and compassionate woman who had a profound impact on those around her, including 10 infants she fostered through the Red Feather Agency. She cared deeply for her children, grandchildren and great-grandchildren, dedicating her life to their well-being. Her spirit and energy will be missed by all those who knew and loved her. There will be a calling hour beginning at 2:30 p.m. on Sunday, Aug 26 at St. Mark’s Church in East Longmeadow followed by a service and burial in the church’s memorial garden. In lieu of flowers, memorial contributions can be made to St. Mark’s Episcopal Church, 1 Porter Road, East Longmeadow, MA 01028 or the Springfield Open Pantry, P.O. Box 5127, Springfield, MA 01101. Wilbraham Funeral Home is in charge of the arrangements.